Well, James Hill really hit the nail on the head at last year’s West Coast ‘Ukulele Retreat with his uke-estral version of the “March of the Toreadors.” It was clearly a fun challenge for the folks in the uke-estra and it must have been fun to teach because a number of our instructors and one of our “students” have stepped up to the challenge…but in very different ways. 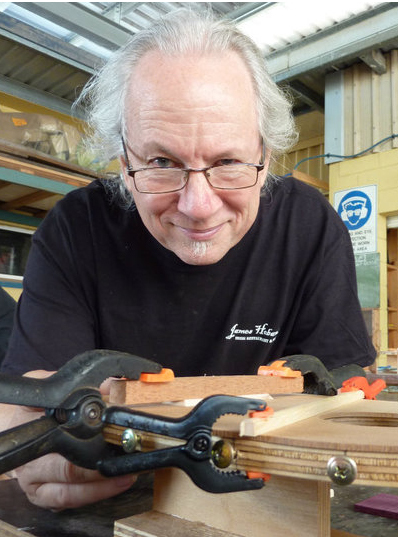 Our beloved luthier (and a huge Duke Ellington fan) Rick Turner will be creating a full uke-estral version of “The Mooche” for players of all skill levels–covering when to use single note lines, when to use chords, and where the nifty chord inversions lie. Beginners can play the single note parts, while the more advanced players can work the lower position chords, work single lines up an octave, play harmony, or use chords in higher positions. Sound confusing? It’s not. And that’s the beauty of some of these uke-stras: there’s an important role for players of all skill-levels, and there is something new for everyone to learn. The net result will be nothing short of fabulous. And while Rick Turner’s uke-estra is delivering the Big Band Sound, student instructor (and 5-year Asilomar attendee!) Nancy Piver will be creating a 4-part ukulele ensemble to play the classic ragtime tune, “Panama,” with parts for players intermediate and above…including baritone ukulele and bass uke! I have been waiting for someone to bring a little ragtime to the retreat! This is going to be fun! Add these to Paul Hemmings’ ukestral version of “Is This It?” and Kevin Carroll’s “Billie Jean” and all the other workshops we’re offering this year and it’s clear it’s going to be a fabulous week of camaraderie, music, fun, and learning. There are still rooms available at Asilomar, so please register soon if you’d like to join us. We’d love to have you in the Uke-estra! ~ by UkuleleLady on March 5, 2015.